Today’s prescription eyewear customers want style. They want flexibility. And if we can show you something truly innovative, so much the better! 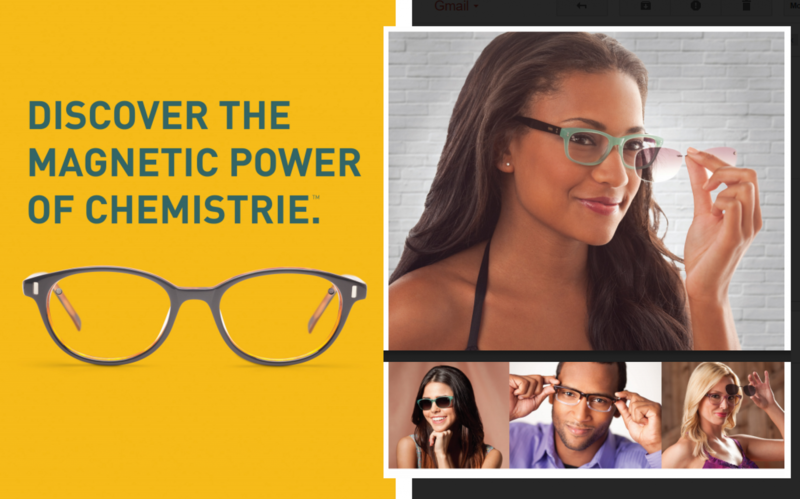 Chemistrie from Eyenavision delivers all the above, with a patented magnetic lens layering system that lets eyeglass wearers add a sun, reader, or even 3-D lens to their frames with just a click. 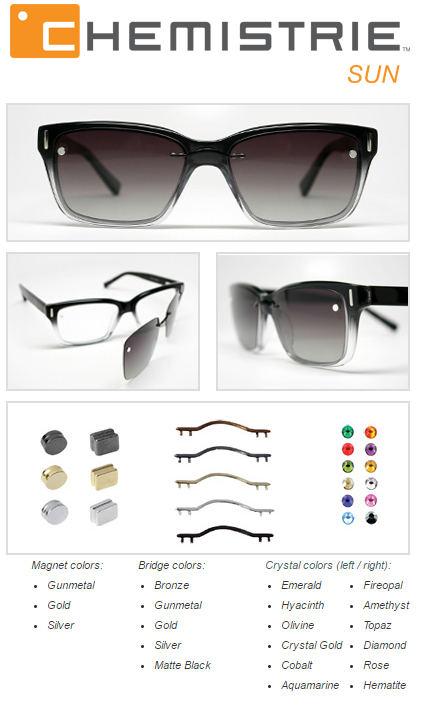 Chemistrie custom clip ons provides plenty of style options with 24 sun lens colors, three magnet colors, five titanium bridge colors, and twelve Swarovski crystals. Making this a lens system that gives clients the chance to create something truly unique, truly their own. No wonder everyone is drawn to our Chemistrie. 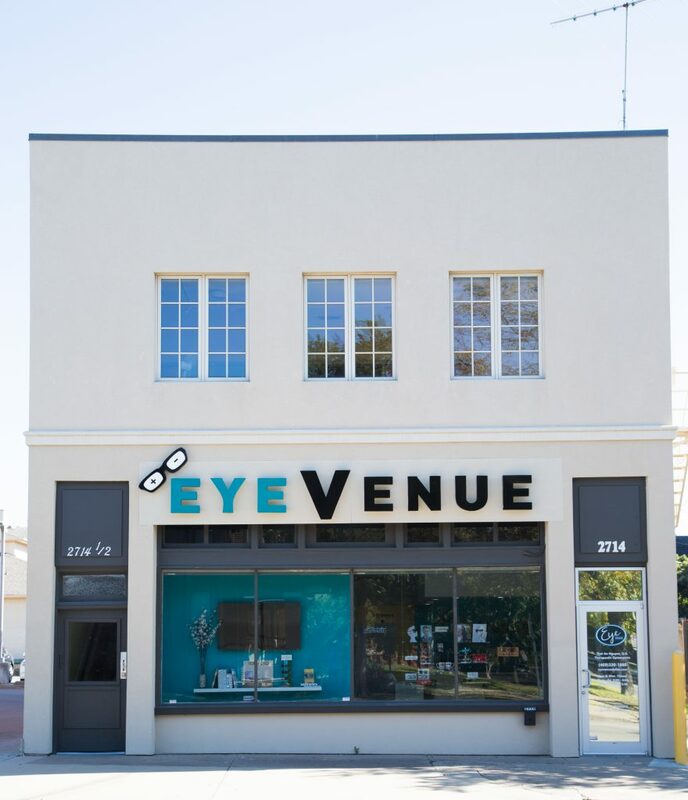 Check them out online HERE! 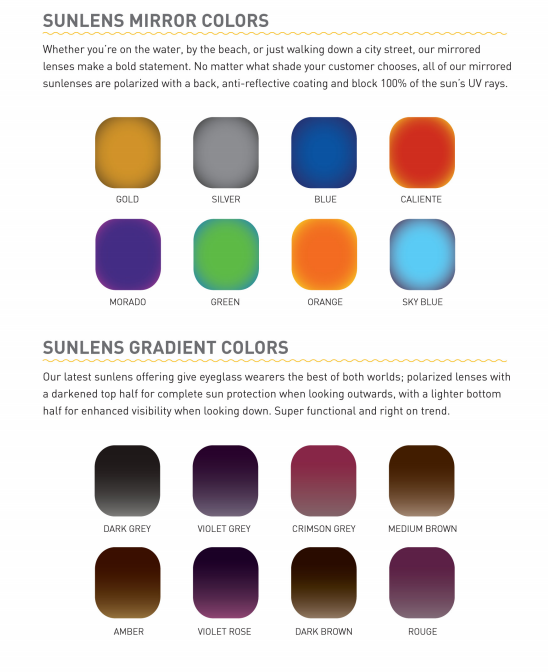 *Chemistrie Sunlenses have gone above and beyond the everyday clip-on. Utilizing our patented Chemistrie Magnetic Lens Layering Technology, all of our sun lenses are custom made to fit virtually ANY frame. 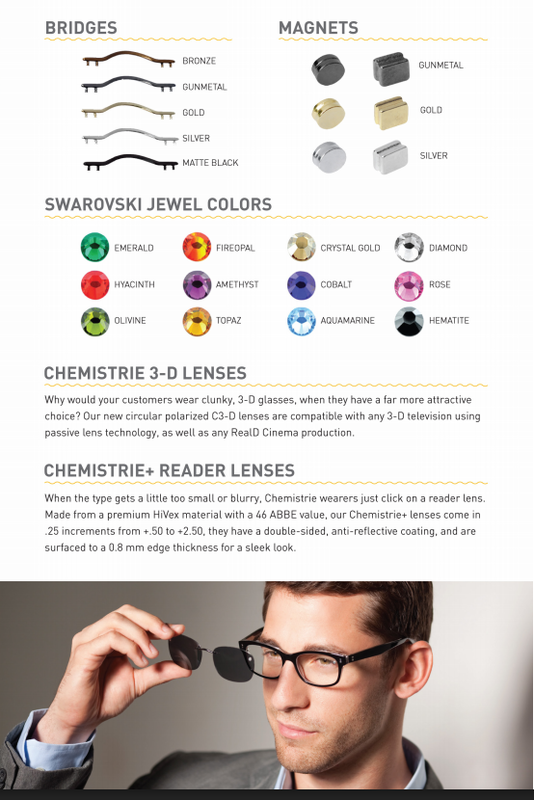 *For those times when the type is too small or blurry, nothing works better than our Chemistrie+ Reader Lenses. Using the same technology as the Chemistrie Sunlenses, Chemistrie+ greatly reduces eyestrain when using a computer or reading small print.